Marvin D. Land, age 84, of Huntington, passed away Sunday, September 30, 2018, at 3:50 pm at Oakbrook Village, Huntington. 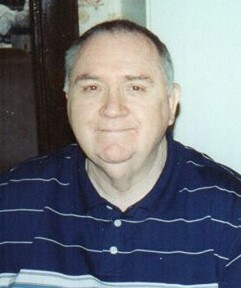 He attended Huntington High School from 1949 to 1952, served in the US Navy from 1952 to 1956, then finished his senior year and graduated from Gouvenuer High School, New York in 1957. He worked for the Huntington Street Department and Utrad from 1958 to 1973, at Maco from 1973 to 1978, at Pully-Kellam in 1979, at Huntington Plastics from 1979 to 1980, at Huntington Electric from 1981 to 1983, then was a security guard with Safe Guard Security, retiring in 1996. Marvin was a member of First Brethren Church, Huntington, and scoutmaster of troop #134. He loved his family, sports, enjoyed all types of music (big band, classical and country), watching and feeding squirrels, old Westerns, and John Wayne movies. Marvin was born July 5, 1934, in Huntington, the son of Howard and Mary (Wire) Land. On July 30, 1959 he married his beloved wife of 57 years Carolyn S. Redding in Huntington and she passed away February 28, 2017. He is survived by 2 sons Kenneth W. Land of Lancaster, OH and Paul F. (Julie) Land of Raymore, MO, a daughter Barbara K. (Gary) Herron of Hot Springs, AR, 8 grandchildren Randy (Heidi) Holmes, Jen (Matt) Riggins, Tracy (Rusty) Winchel, Tony Land, Kris (Karisa) Land, Stephen Land, Sarah Land and Micah Land, 14 great-grandchildren, and devoted caregiver Barbara Land. He was preceded in death by a daughter Eve M. (William) Houser and a sister Marsha Sands. Visitation will be held Thursday October 4 from 11:30 am to 1:30 pm at Deal-Rice Funeral Home- Huntington Chapel preceding the 1:30 funeral service. Burial will follow in Gardens of Memory, with Huntington VFW Post #2689 providing graveside military honors. Preferred memorials are to First Brethren Church c/o Deal-Rice Funeral Home, 338 E. Washington St., Huntington, IN 46750.